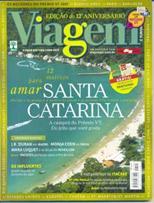 by the Viagem e Turismo magazine. The readers of this reputable magazine selected their 2007 favourites and the awards presentation took place in Rio de Janeiro on October 26. Florianópolis took the second place, after Rio de Janeiro. The Costão do Santinho was chosen the best beach resort hotel for the third consecutive year. This all inclusive resort will be joining the Hilton Family soon but is not yet accepting reservations. It is scheduled to open in December 2007. The all- inclusive Hilton Papagayo Resort Costa Rica is located in a private bay heading the Pacific Ocean at the Gulf of Papagayo, Guanacaste. The Hilton Resort is just 20 minutes away from the Liberia International Airport and 30 minutes by plane from San Jose, the Capital city of Costa Rica. With our new phone system we have updated our local Number to better server you. Now instead of calling each office you can call just one phone number 301-540-2021 and you will be connected to all our locations. Our old number 301-907-8977 will continue to work but we encourage callers to use our new number to avoid getting a busy signal. Tenemos un Nuevo numero: 301-540-2021. Ahora puede llamar a un solo numbero para conectarse con todas de nuestras oficinas.